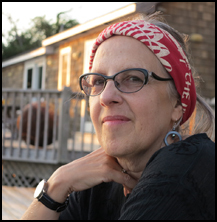 Judith Vollmer is the author of five books of poetry, including most recently, The Apollonia Poems, awarded the Four Lakes Poetry Prize of the University of Wisconsin Press. Vollmer’s poems, essays, and reviews have appeared in Poetry International, Prairie Schooner, Poet Lore, The Women’s Review of Books, The Cambridge Companion to Baudelaire, and elsewhere. Among her other poetry awards are The Brittingham Prize, The Cleveland State University Press Prize, the Center for Book Arts Prize, and fellowships from the National Endowment for the Arts, the Corporation of Yaddo, and The American Academy in Rome.